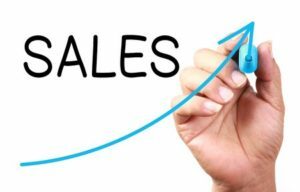 Look at any business and you might quickly notice that the nature of sales has changed. Customers require much more work and attention than ever before. They know that they have options when it comes to choosing which products and services they invest in. Therefore, it is key to craft effective MSP marketing to position your brand as the superior choice. Doing so can help you create a new approach to closing sales and meeting the needs of your clients. High-performing sales teams have adopted new approaches to convert customers. Sales is no longer just about the interaction between the salespeople and the client. Selling your product or service needs to be a collaborative effort. Include every facet of your business that you can. Sure, your sales staff know their stuff. That is what you pay them for: to be knowledgeable, sociable MSP marketing in the flesh. They might not have all the answers, though. To truly make your product stand out, you need to pool the resources from all departments. Build sales plans that include people from R&D, marketing, tech support, or even accounting. They all have something to offer. A wide skill set means that you get a complete picture of the customer’s journey with your brand. When you encourage a spirit of collaboration, you begin to develop a single picture of your customer. You see them through the eyes of your entire business, not just from each department. Understanding every aspect of your customers’ needs allows you to sell more effectively and to ultimately nurture lasting professional relationships. There is no denying that the nature of communication in business has changed drastically over the course of the last twenty years. With so many applications, programs, and avenues at your fingertips, connecting with clients has never been more convenient. However, you should never underestimate the power of an in-person connection. Email and phone calls, while still largely one on one, build barriers between you and your client. What’s worse is when the only connection you have exists on account of a knowledge base on your website, such as an FAQ section or product information in your e-Shop. Recent polls prove that your clients want face to face interactions. They want to know that you are a real person and not just an ambiguous representative of your brand. This can be a hard shift for some teams. After so many years of relying on speed and efficiency (both still vitally important), taking time to foster a real relationship with each customer can seem like the enemy of productivity. Connection does not only come in the form of getting to know your client. Give them an opportunity to learn about you. Audiences are far more likely to connect with the story you have to tell than the statistics you spout. Tell the story of your brand. Put a face to the name. Humanize your business in a way that rivals cannot. Don’t just tell the story yourself, either. Allow current clients to do some of the work, as well. That is what solid marketing is for. It exists as a way to give your image direction. Testimonials and the firsthand experiences of your satisfied customers can help you tell your story the right way. Effective selling comes from knowing what you have to work with. Find ways to create persuasive MSP marketing that sets you apart from your competition. Don’t let your sales staff flounder around on their own, generating their own leads without tapping into the other aspects of your business. Though you have diverse departments there to build the best experience for your customers, they do not work in a vacuum. They are parts of something greater than themselves. As such, they should work together in order to sell your products.